Home » Linux Gaming News » What Could be the Right Way to Convince Game Engine Developers for Adding Linux Support? What Could be the Right Way to Convince Game Engine Developers for Adding Linux Support? Every once in a while there is some news on Unity3D Linux web player support. Sometimes it excites us and most of the times the situation seems all the more dismal. Few months back, we also reported that Unity3D Linux support is not a priority and that the chances are bleak. Now finally, the situation has been cleared in a conversation between Richard Cuddy and Graham (from Unity3D) that happened last December. Both sides are making valid points. Let me quote the messages that were exchanged (hope Richard won’t mind). Firstly, let me say thank you for all your hard work and in releasing this development kit the way you have. The free indie license coupled with the sheer power of the platform in either it’s variations is amazing and we’re all thankful for that, I believe. However, I just want to try to get something official from you regarding plans for porting the player to Linux (though the editor would be nice, I doubt it’s likely any time soon) . On the Unity Technologies Blog you guys had a successful build of core functionality of the Unity Web Player running in a browser on an Ubuntu machine. That was back in March, 2011. That was exciting for a few people who read the blog, I’m sure. If you guys aren’t working on it officially for reasons of lack of financial potential or the cost of resources to develop such a thing, would it be possible for the community to organise a drive for funds to pay for the development for this task specifically. All we would need from Unity Technology is a cost and a promise to hire staff with the funds raised. This sort of thing has found success before, with the open sourcing of Blender as a shining example of what crowd-sourcing can do for software on a large scale. Thank you for your time in reading this, and I hope to get something back from you. I want to post whatever you reply with to the Unity Feedback thread in question, as the people there are beginning to cry foul and assume that you guys don’t even read the feedback posted. We have a few developers who have been working on Linux in their spare time. For us to sell this as a feature, we need to know there is a market for Linux export. We estimate that a full-time dev, QA and support engineers dedicated to this platform would run at around $250k/year. This would equate to around 170 Pro sales per year. We do not think that there are 170 people who would purchase Pro simply because we support Linux. We would love to be proved wrong. There’s no need for the Linux community to fund the development, just commit to buy the product. With the exception of the HumbleBundle packs we don’t know who is making money from Linux gaming. We don’t think that the 10k requests for Linux all come from our development community. At least, when we ask our customers we get a different response. We get lots of requests into the support team from end gamers who want to play Unity games on Linux, so some of the feedback is from end users. Those end users should be demanding that the people who make games with Unity support Linux, and for those people (our customers) to tell us what revenue they are loosing because we do not support Linux. Shipping the linux webplayer on a single distro (presumably Ubuntu) is easy. It’s the on-going support for this, and constantly keeping it updated as the product evolves that is the issue. If we released support for Linux and then dropped it in the future that is kinda worse. Note that in 2012 we’ll have support for building to Flash, and that will work on Linux, so our customers will be able to target Linux gamers. For an official comment you need to reach out to our founders. My reply is based on my position providing support and being involved in QA. Unity3D devs are right at their stance and Linux still hasn’t matured as a viable gaming market (bash me if you want). Plus Unity3D already added support for exporting games to Native Client and Flash both of which are accessible on Linux. As far as the native platform capability is considered, Linux is no less than any other PC gaming platforms out there. But how many game developers are actually developing on Linux? 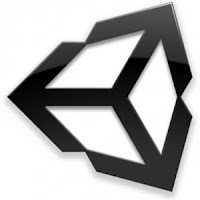 Can at least 170 developers come forward and pledge that they will buy a PRO license if Unity3D supports Linux? Unigine supports Linux, do we have any data or some estimate on how many Linux game devs have purchased commercial license? Or should we bother at all on this? Game developers choose their own tools as per requirement and they can never be bothered about things like this. Linux does have many good game engines – Blender Game Engine, ogre3D, DarkPlaces, Crystal Space 3D, Unigine etc. to name a few. Do we actually need Unity3D Linux support that badly? Look at an older video of this Blender game. According to the developers, at present the game has much better graphics, physics and effects than what you are going to see below. All made in Blender Game engine. We also have Burster plugin that allows us to play 3D Blender games in web browser. Of course, having Unity3D Linux support can bring all sorts of new games from big production houses as well as indies as it is one of the most sphisticated and fastest rising game engines out there. But, there is a problem and it lies in desktop Linux market share. So til we have got at least 5% desktop market share, can we stop begging, harassing and forcing developers to add Linux support? Once we have a decent market share, more and more game developers will target Linux and will request license for Unity3D or other commercial game engines. Just look at the comments on Unity3D Linux Player request page and you will get what I am talking about. This request was filed about 3 years back and after 11k+ votes and 1500 comments, we should probably come to senses that it won’t work like this. May be Unity3D people should make a public announcement and this thing will stop. If you think, there can be another other way to convince Unity3D developers then share with us in comments below.